The M-Bus master is the heart of an M-Bus installation. It provides the slaves with voltage and current and is responsible for communication. At Relay, see the appropriate master or level converter for your application. Whether you want to read 3 or 250 meters. to product overview "M-Bus master"
Relay offers a wide range of slaves for different applications. 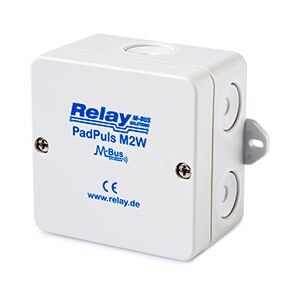 The PadPulse devices adapt meters with pulse output to the M-Bus. Our AnDi modules easily evaluate analog signals by M-bus. You want to read status indicators with the M-Bus? No problem with the PadIn4. Here you will find everything related to your M-Bus installation. From the 11-bit analog modem to the TCP / IP converter towards the M-bus splitter. With our great range of accessories, you are ready for many special tasks. 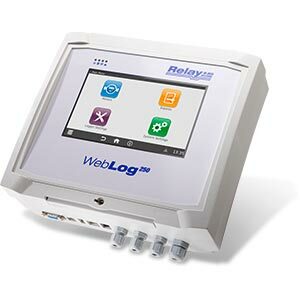 Relay also provides you with software related to the M-Bus. You want to configure slaves, read M-Bus installations or manage relay centrals? For all these tasks Relay offers the right program.